George W. Bush just issued his memoirs. 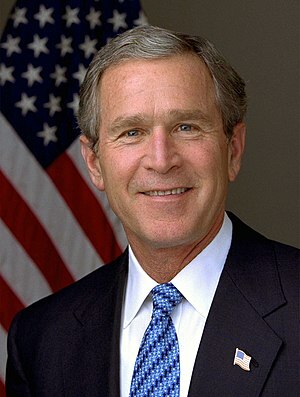 He does not regret having started the war against Saddam Husseins Iraq. Sgt. Miller, 23, lost his life in Iraq. He left Sarah, his wife, age 26,and his son Tyrell, age 2. Bush regrets no weapons of mass destruction have been found. The war was and is justified, though. So he says. Pfc. Mitchell now is disabled. He lost his left leg and suffers asthma. Lost his job. Has to live on social welfare. Bush writes in his memoirs that Saddams regime really was bad. Writes, that it was good to go to war against such a regime. 1st Lt. Wayne bled to death after stepping on a booby trap. She leaves her daughter Sarah, age 8, behind, and her husband Jonathan. She is one out of tens of thousands who died in vaine. Others became mentally sick. In the thousands. Tens of thousand of Iraqi civilians died. Hundreds of thousands lost their families, their homes, their health. Bush does not feel remorse. Iraq was a rogue state, after all. Halliburton, Blackwater at. al. earned millions and millions during the course of this war. Nobody in power like Bush ever felt remorse when millions and billions are at risk. He is doin fine, very fine on his comfortable ranch in Texas. He never, ever, came close to a fight. He just can ….. talk. But he is a honorable man. Men who often talk about honour and pride and patriotism are most often looked upon as beeing honorable men.